Most Calgarians have a place where they live and another where they work. However, a combination of the two has emerged that could be the wave of the future: live-work condominiums. In the early 2000s, Battistella Developments took a chance when it unveiled its Orange Lofts live-work condominium project in what was then an East Village neighbourhood awaiting renewal. No one was sure how successful the concept would be, but the result was the creation of a rather unique community, says Chris Pollen, director of sales and marketing for Battistella Developments. “We do see a nice mix of people in this building, from small businesses and sole proprietors, to actual tenants who live in the building,” said Pollen. 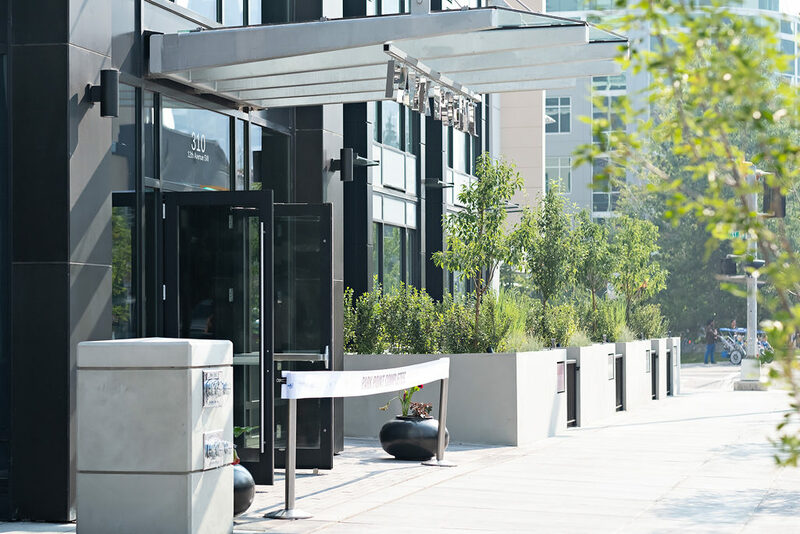 When Qualex-Landmark designed its new Park Point tower in the Beltline, it included eight two-storey live-work townhomes in the building podium, which quickly sold out. “We recognized the trend for Canadians working from home and believe there is demand for them in Calgary,” said company president Mohammed Esfahani. Parham Mahboubi, the company’s vice-president of planning and marketing, says they envisioned residents setting up a private office on the second floor of the unit. Pollen says live-work is not a style of building, but rather a discretionary use under City zoning bylaws. He adds live-work is still a niche market, but could trend upwards in the future, along with shop homes – an actual building style with commercial space on the street level and residential above – due to the City’s move towards densification. Mahboubi says live-work units allow entrepreneurial people to skip the commute to an office and live in a vibrant urban centre. “Generally, we’ve seen a growing trend in Calgary for those who are self-employed and looking at non-traditional options,” he said. View this article online by CREB Now.